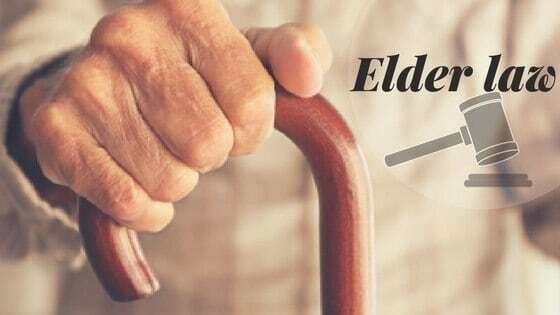 If you need help arranging living assistance for yourself or an elderly loved one, you need an elder law attorney. Consideration of assets and income sources available to the client and the client’s spouse, including revocable trusts, pension plans, IRAs, 401(k)s and other deferred compensation arrangements as well as insurance, social security, veteran benefits and other government entitlements. Review of current and contemplated living arrangements. Analyze the individuals, financial and care-giving institutions available to assist our client when management of funds or living assistance is needed. Consider and implement legal options available if no planning has been done, including guardianships, conservatorships, availability of government benefits and appointing surrogates for medical decision making. Consider the use of revocable living trusts (trusts that can be changed), irrevocable living trusts (trusts that cannot be changed), powers of attorney, advance directives for health care and planning for management and distribution of assets during a client’s life or after a client’s death to care for a surviving spouse, children or grandchildren, but not lose government entitlements. Assist corporate and/or individual fiduciaries in management and administration of trusts created for an elderly or special needs beneficiary. Develop and implement plans for qualification of individuals for government benefits including asset protection for our client and spouse, consideration of Medicaid, VA and other benefits to which the client may be entitled. Advise caregivers in management of individual and services to be provided. Plan for special needs and distribution of estates – addressed separately under our Special Needs Planning and Probate and Estate Administration. We planned for mother in nursing home being cared for by daughter. While mother’s income was limited, she was the beneficiary of a trust that made occasional significant distributions. To avoid losing Medicaid benefits a pooled trust was used to hold her assets. Her daughter, as co-trustee with the Alabama Family Trust, was advised on proper payment of expenses, and final distribution after mother’s death. We assisted our client (husband) whose wife lived in a skilled nursing facility to save their farm land through gift of property and development of family business entity by children. Their plan also involved development of irrevocable trust to hold other investments. We worked with children and financial planners to develop plan for their mother to remain in assisted living, manage her funds and then qualify for government benefits. This plan also included income tax advice as to mother being dependent upon more than one person, development of multiple person agreement for utilizing tax benefits and preparation of irrevocable trusts for children to protect assets in event of the prior death of a child. We represented a client whose elderly relative was removed from her home in another state and brought to Alabama by other relatives. Her revocable living trust specifically provided for her care and what action should take place if she were absent from her home state for a designated period of time. After her family members had her documents changed, she died and litigation was pending in two states to determine the proper venue for the actions and which documents were valid. We planned for a childless couple where the husband suffered from Alzheimer’s and was in a nursing home and the wife was at own home trying to continue payments for the nursing home, her own home and still afford her own care. Options we considered included use of a reverse mortgage, sale of home, use of VA benefits as well as changing title on assets, and preparing documents to care for at-home spouse.